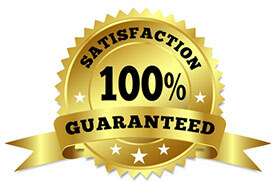 Your Satisfaction with Our Mold Removal Treatment is Guaranteed! As we learn more about the effects of mold and other toxins in the environment, agencies like the EPA have instituted regulations designed to protect workers. Pamela Stern, our certified environmental hygienist, can help you make sure your workplace is compliant. An environmental hygienist is sometimes referred to as “industrial hygienist,” while the global term is “occupational hygienist.” Regardless of the name, the job involves evaluating the levels of biological and chemical contaminants in a workplace and taking steps to maintain acceptable standards. The principle qualification of an environmental hygienist is at least a bachelor’s degree in a biological or physical science which provides training in identifying and containing hazardous substances. Some schools have begun offering environmental hygiene as one of their degree programs. In addition to their extensive knowledge about hazardous substances, environmental hygienists understand the effects they can have on physical and mental health. Since different industries use different products, each workplace should be assessed independently. The primary role of an environmental hygienist is protecting workers from the unique risks presented in their workplace. Activities include establishing safe exposure limits and developing strategies to keep contaminants under control. Pamela is part of our team of trained professionals who are experienced in NYC mold removal. Our eco-friendly MoldExterm program eliminates mold more quickly and cleanly than traditional remediation, while the proprietary polymer sealer protects against future infestations. Are you ready to get “Stern” with your mold problem? Contact us today to schedule a free mold inspection.